Does a high performance furnace always have to be super high-efficiency? The Rheem Prestige Series RGLE proves that even a standard efficiency furnace can deliver superior performance, making it a superb choice for many homeowners. Lou writes from Lake of the Ozarks, Missouri to share the Rheem Prestige Series Super Quiet 80 Communicating 2-Stage equipped with the Comfort Control System Downflow RGLE gas furnace price of his recent purchase and to provide helpful details. 2-stage operation for more balanced and quiet heating that uses less fuel and electricity most of the time. Heat exchanger with patented design and made from stainless steel and aluminized steel for durability and performance. Comfort Control system with communicating capabilities to synch all HVAC components and offer diagnostic codes. Boosts the SEER rating of the matched A/C. Low profile design takes little space in the first-floor utility room. Quiet inducer motor, slow-opening gas valve, insulated cabinet – all for quiet operation. Integrated hook-ups for dehumidifier (which we added) and electronic air cleaner. Lots of other goodies make it easy to install and deliver high-quality heating and cooling. Available at 75K Btu, 100K Btu and 125K Btu. Limited lifetime warranty on the heat exchanger, and a 10-year warranty on all other parts. I built much of this home myself but I know my limitations. I hired the local professional to install this furnace, which is scheduled for next week. I want the security of knowing the furnace and vent is properly installed so that it will run safely. And I want a warranty I can rely on if anything goes wrong. 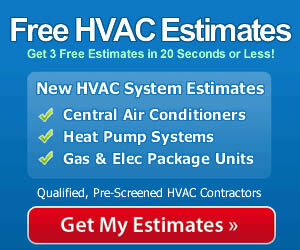 Having a qualified contractor install the furnace makes good sense for Lou and for any homeowner. Peak performance is best realized when an experienced professional handles the installation, set up and testing. It will give you a relationship with a contractor who knows your furnace and can best maintain it or repair it, giving it greater durability and operational quality in the years ahead. By the way, if you have HVAC prices to share with other readers please use our Share an HVAC Price page to send them our way. We appreciate it!